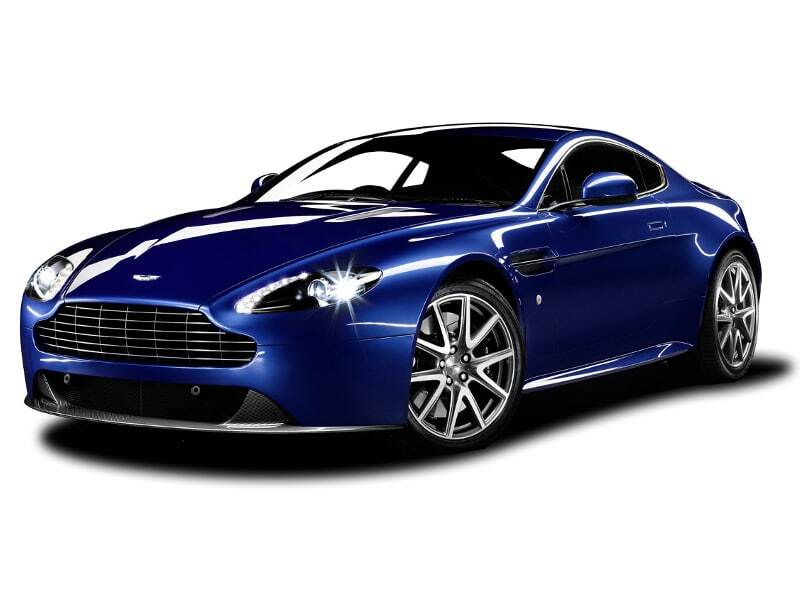 The Aston Martin Vantage is series of hand-built sports cars from the British manufacturer Aston Martin. 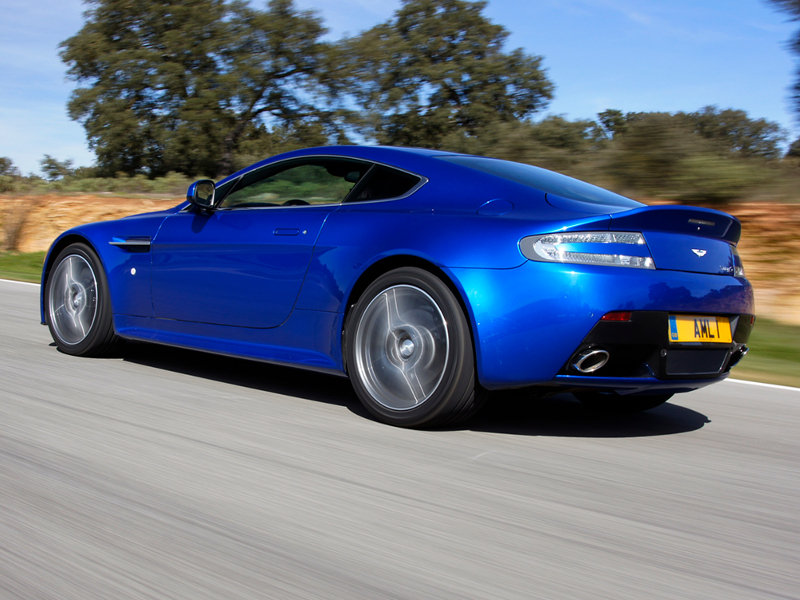 Aston Martin has previously used the “Vantage” name on high-performance variants of their existing GT models, notably on the Virage-based car of the 1990s. 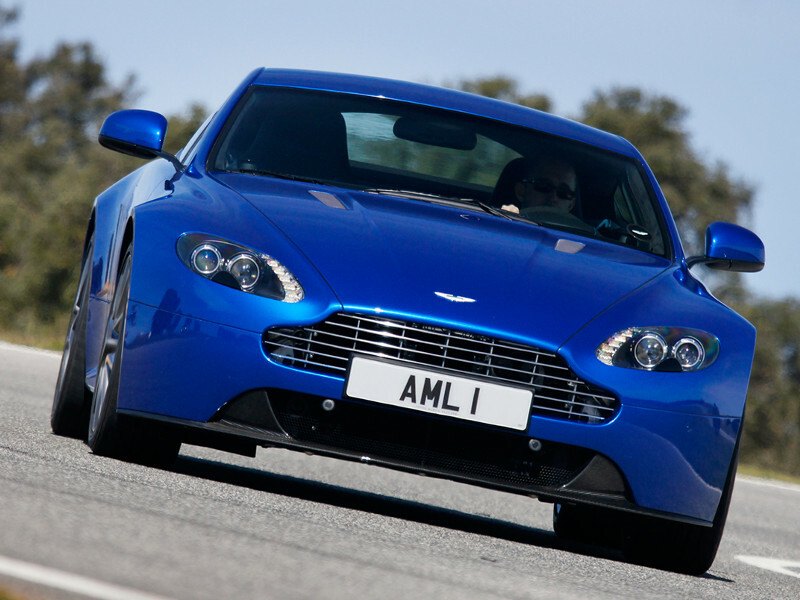 The modern car, in contrast, is the leanest and most agile car in Aston’s lineup. As such, it is intended as a more focused model to reach out to potential buyers of cars such as the Porsche 911 as well as the exotic sports and GT cars with which Aston Martins traditionally compete. 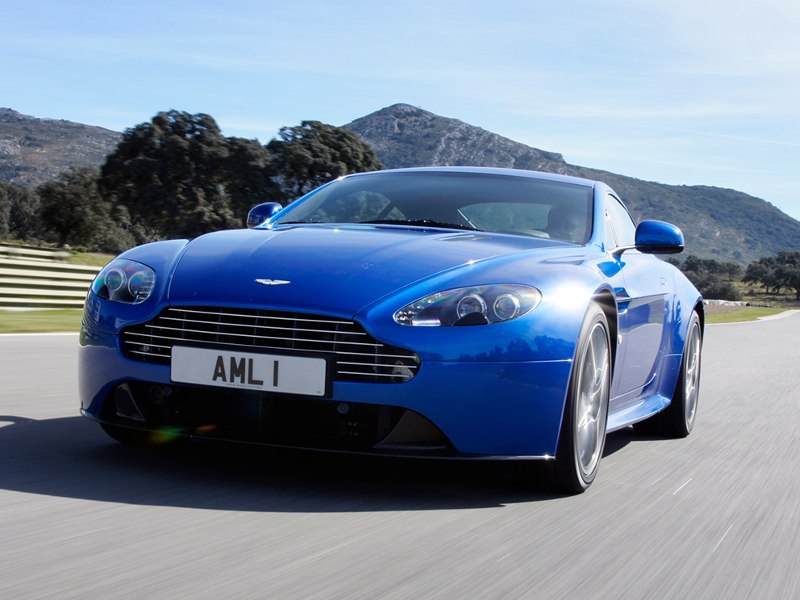 n May 2008, Aston Martin announced new technological updates for the Vantage, which included changes to the engine, transmission, suspension and appearance. New cylinder liners that were now pressed into the aluminium block instead of the original cast-in variants allow a thinner liner, which in turn allows a larger capacity of 4.7 L. The cylinder bore and stroke has been increased from 89 mm (3.5 in) to 91 mm (3.6 in) and 86 mm (3.4 in) to 91 mm (3.6 in) respectively, giving a total displacement of 4735 cc. The dry sump lubrication system was also modified. The “Sportshift” semi-automatic transmission benefited from a software update, while a lightened flywheel was introduced for both the manual and the Sportshift. Aston Martin also stiffened the suspension and now uses Bilstein dampers. An optional sports pack is being offered with stiffer springs, tighter handling, and all-new 5-spoke alloy wheels. Sportshift-equipped models also receive a new dual throttle mapping update which allows the driver to choose from the default sport mode, or comfort mode, which gives more comfortable shifts and throttle input for drivability. New wheels are also part of the update including a 20-spoke alloy wheel and a new 5-spoke aluminium wheel for the sport pack. The interior has been changed slightly, using an updated console similar to the Aston Martin DBS and the DB9. 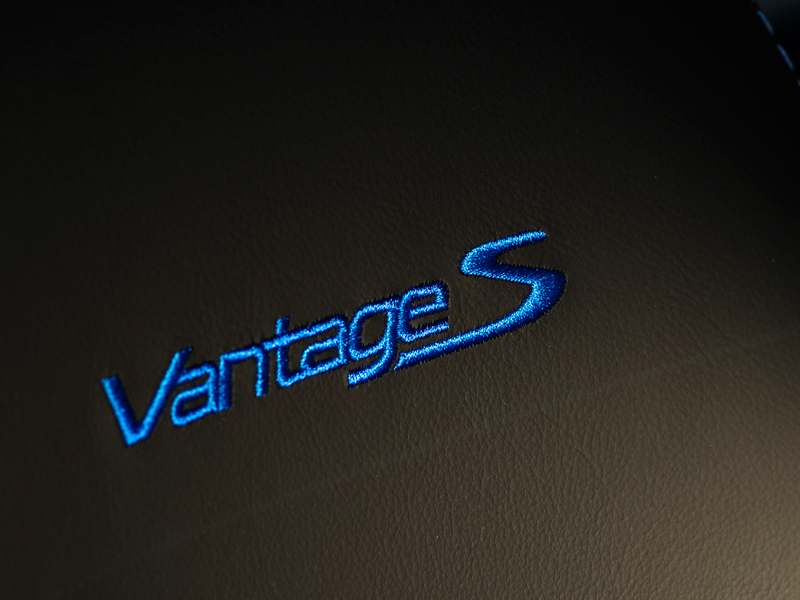 The update provides the Vantage with 420 bhp (310 kW) (an 11% increase) and delivers peak torque of 470 N·m (350 lb·ft) (a 15% increase), providing the car with additional reserves of mid-range performance and an improved top speed. Combined European fuel economy and CO2 emissions are also improved by 13% (Sportshift).